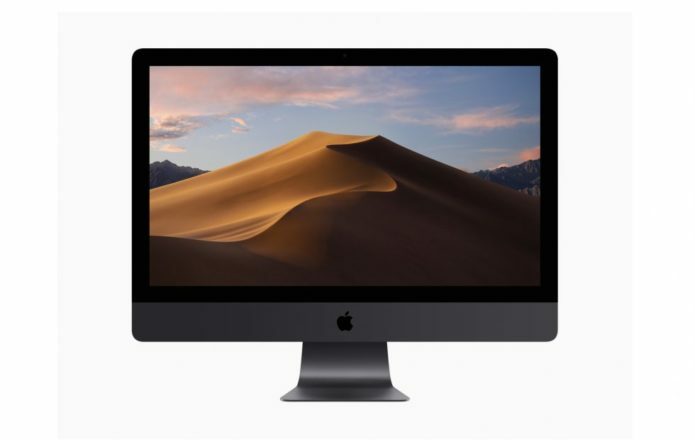 Apple has released macOS Mojave, the latest version of its Mac operating system, bringing with it a new Dark Mode along with paving the way for iOS app support. The update, which is free to existing Mac users, also offers a new Dynamic Desktop feature along with Stacks, which promises to help tidy up your digital workspace. It’s Dark Mode which will be the most obvious change, of course. The new dark color scheme is optional, an alternative to the usual light color scheme familiar from earlier iterations of macOS. It’s designed to be easier on the user’s eyes, particularly when they’re working in low-light conditions. Dark Mode is supported across all of Apple’s native Mac apps, such as Mail, Maps, Calendar, and Photos. However, it’ll be up to third-party developers to enable support for their software, if they so choose. Stacks, meanwhile, aims to tidy up the desktop. Based on the idea that the macOS home screen can end up a mess of icons and files as it’s used as a temporary clearing house but never actually managed, Stacks will automatically organize files into groups based on content. For example, Stacks will group together images, presentations, text documents, and PDFs, though it can be set to sort by other attributes such as date or tags. You may well want to enable Stacks, if only to see the new Dynamic Desktop. Rather than a single wallpaper, that now includes a set of images that shift according to the time of day. For launch, it’s – unsurprisingly – the Mojave Desert, which transitions from dawn, though morning and midday, to dusk and finally evening. The changes aren’t all aesthetic, though. The updated Finder, for instance, now includes a gallery view and a preview pane, the former allowing for visual skimming while the latter offers up metadata without having to right-click and select “Info” first. There are now Quick Actions in the preview pane, for creating PDFs – including password-protected PDFs – and running custom Automator actions. Quick Look supports the rotating and cropping of images, making up PDFs, and trimming video and audio clips, all without loading Preview. In Screenshots, there’s now video recording, and easier access to editing tools. Pressing shift-command-5 brings up a series of controls for still and video capture, and you can now set a timer too. If you’re an iPhone user, meanwhile, Continuity Camera further blurs the line between iOS and macOS. You can use the new “Import From” option in Pages, Keynote, Numbers, Note, Mail, and other apps, to turn the iPhone’s camera into a handy scanner. It’s not the only iOS integration, though: News, Stocks, Voice Memos, and Home are all newly added to macOS, using the iOS code in fact. Apple says that third-party developers will be able to transition their iOS apps for macOS in 2019. Elsewhere, there’s a new Mac App Store which promises to make it easier to find both software you know you need, and highlight new apps you might not have heard about. Safari gets Intelligent Tracking Prevention to stop social networks’ “Like” and “Share” buttons and comment widgets from sharing information about you between sites, and there’s simplified user agent sharing to minimize how much personal data is accessible by different sites. Website icons have been added to browser tabs, optionally, to make identifying what tab holds which site more straightforward. Siri gains HomeKit control, as well as broader knowledge across a variety of topics, and there’s an Emoji menu in Mail. Numerous other changes below the surface promise to make your existing Mac hardware run faster, too. macOS Mojave is a free update, available through the Mac App Store. You’ll need a Mac released mid-2012 or later, or a 2010 or 2012 Mac Pro with one of Apple’s recommended Metal-capable graphics cards.